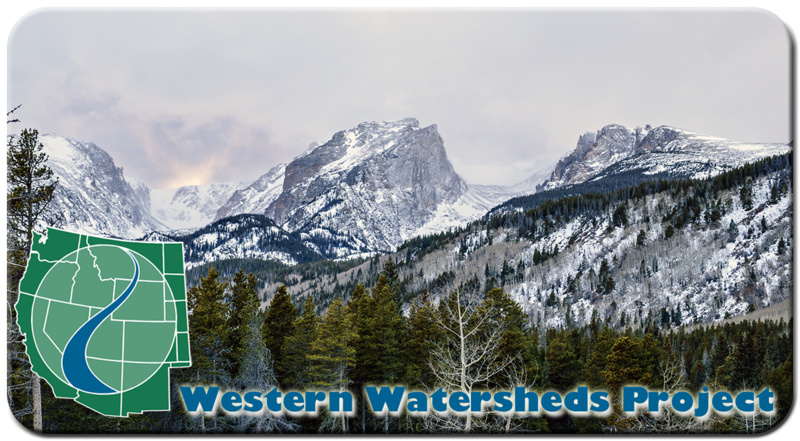 Western Watersheds Project has been busily defending wild spaces and wildlife habitat this month, including filing three new legal actions regarding livestock grazing in Wyoming, Utah, and Colorado! WWP and WildEarth Guardians filed a lawsuit last week regarding the Rio Grande National Forest’s authorization of domestic sheep grazing in the habitat of bighorn sheep. Domestic sheep carry a pathogen that, when transmitted to bighorn sheep, causes deadly pneumonia in bighorns and reduces lamb survival rates for years. Our new legal case, with attorney power from Advocates for the West, centers on domestic sheep grazing west of the San Luis Valley, Colorado. This poses a direct threat to four bighorn herds in the area: the San Luis Peak, Bellows Creek, Bristol Head and Rock Creek herds. Other bighorn herds are also at risk of disease. This agency’s authorization of domestic sheep on this allotment poses an unacceptable disease risk to bighorn sheep and threatens their viability, and we expect the court will agree. 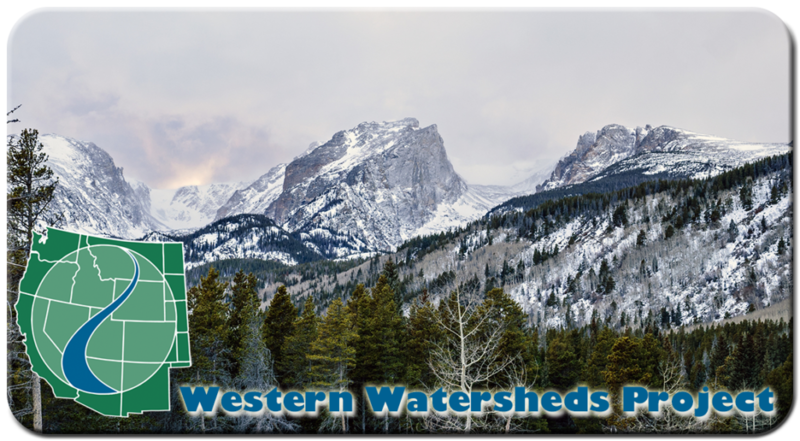 WWP, and our attorneys Advocates for the West and Megan Backsen, filed a lawsuit yesterday against the Interior Board of Land Appeals (IBLA’s) Duck Creek decision, which demonstrated biased decision-making in favor of ranchers and ignored IBLA’s own long-held precedent. Our members probably remember the favorable Duck Creek decision of 2013,the result of more than 250 hours of expert testimony during a nine-month trial at the Office of Hearings and Appeals. We won that round, because the judge found our three expert witnesses credible and their data compelling, while BLM witnesses were confused and self-contradictory. But then the IBLA overturned the decision and instead granted BLM unlimited ability to ignore outside science and experts. It’s a horrible precedent for all of WWP’s work and indeed, all of public lands across the West, and so we’re in court trying to push back against the extreme bias the Interior has shown. WWP has been systematically targeting the federal agency known as Wildlife Services, a branch of the US Department of Agriculture that, among other things, is responsible for carrying out the predator-killing agenda of the livestock industry. The program primarily kills carnivores like gray wolves and coyotes that are important for balanced ecosystems, but which have been unfairly and unscientifically persecuted by ranchers across the West. The new lawsuit, filed with our allies Center for Biological Diversity andWildEarth Guardians, challenges the outdated management plan that guides the wildlife-killing program in Wyoming. We seek a new environmental analysis of the program, one that acknowledges the new body of scientific literature showing that killing predators doesn’t work and that also explores and honors their role in ecosystem health. The support and dedication of WWP’s members makes it possible to keep fighting for what is right on our public lands. Won’t you join us?